ONBOARD Short Rally Kasterlee 2017 Mats vd Brand co-driven by Eddy Smeets in the BMW M3 E30. www.MatsVdBrand.nl #Flatout Action !!! You can also find and follow me on: - Flickr: http://www.flickr.com/photos/19bozzy92/ - Facebook: https://www.facebook.com/19Bozzy92YT - Google+: https://plus.google.com/100567781241722617164/posts - Instagram: https://www.instagram.com/ste19bozzy92/ Back to the 2016 Blancpain GT Series weekend at Monza Circuit, I recorded these two BMW M4 GT4 of the Ekris Motorsport team racing in the Competition102 GT4 European Series. Watch them in action on track!! 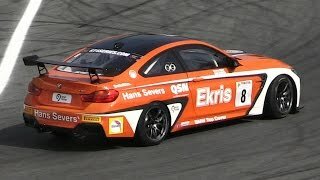 Camcorder: Canon Legria HF G30 + Canon DM-100 Event: GT4 European Series Where: Autodromo di Monza, Italy Link To My Channel: http://www.youtube.com/user/19Bozzy92 THANKS FOR WATCHING AND SUBSCRIBE!!! Learn more here: http://www.race-capture.com Your race is happening now: so why would you analyze your data after the fact? When you use RaceCapture/Pro + real-time telemetry to stream live race car data to the web you can: Have real-time driver feedback: * Coach can watch your data live from the hot pits - no passenger needed in car * Stay out on track longer instead of having to come in to talk with the coach * And make driving adjustments that matter during the race! * Have your pit crew watch your engine vitals while you focus on the race * Have your fans follow you while you campaign through the season * Have your data ready waiting for later analysis by you, your coach or your friends - accessible anywhere in the world. No shuttling memory cards between system and laptop! 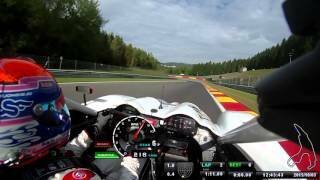 One of my two pole-position laps during the 2015 Racing Festival for the IDIS Superlights Challenge at our gorgeous Spa-Francorchamps circuit in a 1:19.4. Our Deldiche Racing Norma M20FC was rebuild after the 24 Hours of Zolder, and we went straight to this race at Spa without any testing. 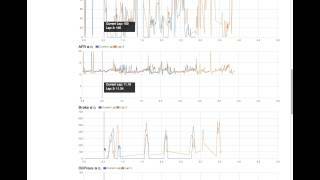 So surely there's quite some time to find with setup and aero (wing) optimization. Enjoy!